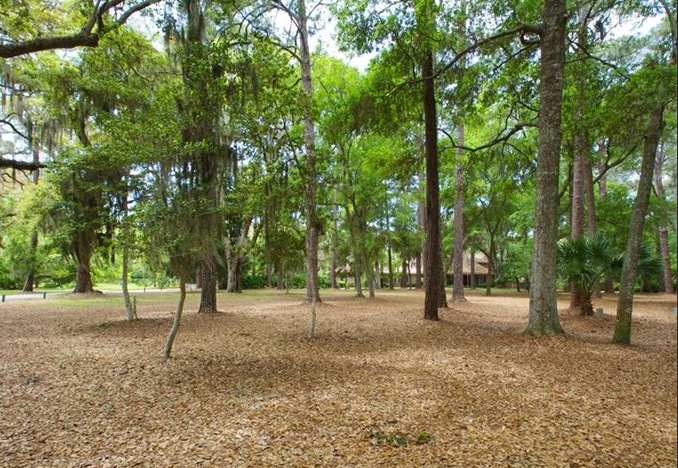 Black Banks is one of the beautiful sub-divisions that youâ€™ll find when reviewing St. Simons real estate listing. It features remarkable houses with expansive acreage and views of the Black Banks River as well as the surrounding marshlands. The area is so visually stunning, that over the years itâ€™s been featured in books like Blake Perdueâ€™s Sea Island at Night and Polly McLeod Mattoxâ€™s Private Gardens of Georgia. It also happens to have an attention-grabbing connection to the Peach Stateâ€™s history. The story starts in the 18th century with a young man by the name of James Gould. He was born in Hampden County, Massachusetts, in the Town of Granville and eventually joined the U.S. Navy. The Navy lured him south where he was tasked with removing timber from St. Simons real estate. Once here, he became enamored with the place and decided to establish roots of his own. In the process, he built our islandâ€™s famous lighthouse, became the light keeper and settled in whatâ€™s now known as the Black Banks Sub-Division. The area was actually named by Gould, only at the time it was called the Black Banks and New St. Clair Plantations. Together, they encompassed more than 1,450 acres of prime cotton fields that ran along the banks of Dunbar Creek and the Black Banks River. The plantations were very successful right up until the family had to flee in advance of Civil War skirmishes. That mass exodus took place in the 1860s at the request of General Robert E. Lee. True to form, the ensuing battles were not kind to the familyâ€™s Black Banks River homesteads or their patriarchâ€™s lighthouse. Consequently, precious little remained intact when the war ended. However, the Gould Familyâ€™s legacy was recorded and later romanticized by various others. One of the more famous people to ever write about him was another St. Simons real estate owner, Eugenia Price. Her book about Gould is simply titled, Lighthouse. Today, Black Banks residents and visitors alike can find remnants of the familyâ€™s life on display at the Coastal Georgia Historical Societyâ€™s museums. Many of their graves are located on the island too. Some of them may be found in the Christ Church Episcopal Cemetery, which is located near the building where the family once worshiped. To learn more about St Simons Black Banks real estate community and take a tour of the oneâ€™s still available for sale or rent, please contact DeLoach Sotheby’s International Realty today.